Q&A: What will happen to Hearts now they are in administration? A look at what lies ahead for the Gorgie club in terms of sanctions from football's governing bodies. The company operating Hearts are now officially in administration, with BDO appointed to oversee the process. The Gorgie side follow Motherwell, Dundee, Livingston, Gretna and Rangers as top flight outfits suffering from what the Scottish Premier League describes as an "insolvency event". What does the future hold for Hearts now they are in administration? We've taken a look at football's rulebooks to see how it will affect the club, both under the current regulations and those due to be implemented when the Scottish Professional Football League comes into effect on June 27. How many points will Hearts be deducted by the league? Hearts will be docked 15 points under current Scottish Premier League rules. Those regulations state a club going into administration is docked either 10 points or the third of their previous season’s tally rounded up, whichever is greater. Hearts finished 2012/13 on 44 points. As the 2012/13 season formally concluded on May 19, the point deduction applies to the next campaign. But what about the new Scottish Professional Football League? Will the point deduction carry? Yes. Although the SPL and Scottish Football League are merging into one league body on June 27, the rules of the new league allow for existing deductions to be carried over. What if Hearts had gone into administration when the new league was up and running? If they had gone into administration in the close season, the club would have started the new season on minus 15 points, regardless of their tally in the previous campaign. If a club goes into administration during an SPFL season it will be docked 15 points. However only 10 points would be removed with immediate effect. A further five points will then be deducted at a point the league’s board deems it would be "the most effective". UBIG are also potentially subject to an insolvency event in Lithuania. As the majority shareholder of Hearts, will the club be sanctioned twice? It is understood that the SPL has no plans to take action against Hearts as a result of UBIG claiming they are insolvent. Can Hearts appeal the decision to dock points? Under both SPL and SPFL rules, Hearts can appeal the deduction if it can prove that an insolvency event has not taken place. What happens if Hearts successfully come out of administration but then go back into administration? If this occurs within five years, regardless of whether Hearts is owned and operated by its current company or by a newco, SPFL rules state the club would be deducted 25 points. If Hearts are out of administration by the start of the season will they still be docked points? Yes. Both the rules of the SPL and SPFL state a point deduction applies to the starting tally in the immediately following campaign if a club goes into administration during the close season. There is no provision for a club to avoid points being docked if they can successfully exit administration before league competition restarts. What if Hearts are still in administration after the final day of the 2013/14 season? They will start the 2014/15 season on minus 15 points if they do not come out of administration before the first day of the immediately following season. This applies regardless of which division of the SPFL they are competing in. Hearts are subject to an immediate SPL registration embargo as a result of going into administration. This means they can not sign new players, including Danny Wilson, who was announced as a pre-contract signing from Liverpool earlier in June. This embargo will transfer over into the SPFL and will not be lifted until it can be proven Hearts are no longer in administration or subject to an insolvency event as per league rules. 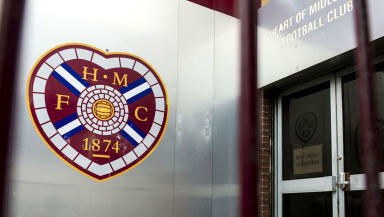 Hearts are currently under a separate registration embargo from the SPL for failing to pay players on time. What league will Hearts be playing in next season? As it stands, Hearts will be playing in the top division of the Scottish Professional Football League. What if the company operating Hearts goes into liquidation? Can they do a “newco” like Rangers did? Yes. If the company operating Hearts fails to achieve a CVA with its creditors and an asset sale subsequently takes place, the newco can apply to the SPFL for the club’s member share of the league to be transferred. Under SPL rules, the member clubs had a vote on whether a share could be transferred. Under SPFL regulations, the power is held by the board. Rangers were unsuccessful in having their member share transferred between oldco and newco and subsequently ceased to be a member of the SPL. They then had to apply to join the Scottish Football League. If Hearts had the share transferred to a newco could they be relegated to the Third Division? Hypothetically yes. Rule 36 of the SPFL rules states that the board has the power to impose any conditions upon the club it sees fit as part of agreement to transfer the share. It is also stated that the board can order a club to play "in such division as the board may in its absolute discretion think appropriate". Hearts could be allowed to play, upon transfer of its share to a newco, in the top division with a fine or points deduction. Similarly, the SPFL board could rule the share will only be transferred if Hearts agree to be relegated to any of the league’s three lower divisions. What if Hearts are unsuccessful in having the share transferred? They would have to apply to join a different league. With the door to the SPFL presumably closed as a result of a failed share transfer, the newly-formed Lowland League could be their highest port of call. 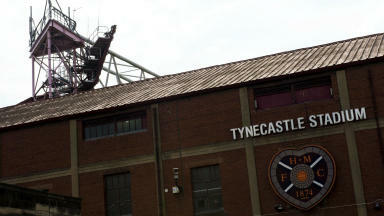 How would a newco Hearts become members of the Scottish FA? In order to play in the Scottish Professional Football League setup, they would need to apply to have membership transferred from the oldco to the newco, as was the case with Rangers. Membership of the Scottish FA is only transferable at the discretion of the governing body's board. Can the Scottish FA impose a sanction upon Hearts for going into administration? Yes. As has been seen in the cases of Rangers and Dunfermline Athletic, Hearts will be subject to disciplinary action from the governing body. The sanction for breaching Scottish FA rules is not fixed. Rangers were fined, whereas the Pars were given a registration embargo until the end of 2013. Will UEFA intervene and impose a sanction on Hearts? No. If Hearts had qualified for Europe and had been granted a UEFA Club Licence prior to going into administration, it is likely they would have been allowed to participate in European competition in 2013/14. As it is, Hearts have not qualified for any UEFA club competitions being played next season. 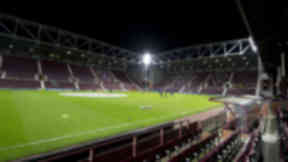 If Hearts were to qualify for Europe for the 2014/15 campaign, the club would need to be out of administration and able to prove it owes no money to other teams, its employees or the government. If Hearts were to go down the newco route, the club would be ineligible to play in European club competition for three seasons. That would be because the "contractual relationship" with the Scottish FA would have been "interrupted". What happens if Hearts want to successfully exit administration? A Company Voluntary Arrangement (CVA) is drafted for a company to try and reach an agreement with its creditors. Companies must agree with those it owes money to over how much to pay back, and over what period of time. Everyone who is owed money is then invited to vote on the proposal. A "yes" vote is required from creditors up to 75% of the value of the overall debt. For example, if total debt is £10 million, the company must receive the backing from creditors to the tune of £7.5 million. How long does it take before Hearts would be out of administration? If a CVA is approved, creditors have a period of 28 days to register their opposition to the decision. If there is no opposition, the company exits administration and continues in its current form, paying back its creditors over the agreed period of time.